Cornwall and the Cornish have existed on this island of Britain prior to the arrival of the Anglo-Saxons. Yet our Cornish language had to wait until November 2002 for offical recognition, and a further 12 years for the Cornish themselves to receive official recognition on April 24th, 2014. It’s now time that Cornwall itself be afforded recognition, to exist as a recognised entity in its own right, similar to that of Wales, Scotland and England, not the continuation of an assimilated, subordinate ‘county’ of England. Cornwall having the right of self-determination is not just the demand from the Cornish. Cornish identity is inclusive and people that have moved to Cornwall include some that have an empathy, a sense of belonging to Cornwall and consider themselves Cornish, also feel that Cornwall should have recognition. 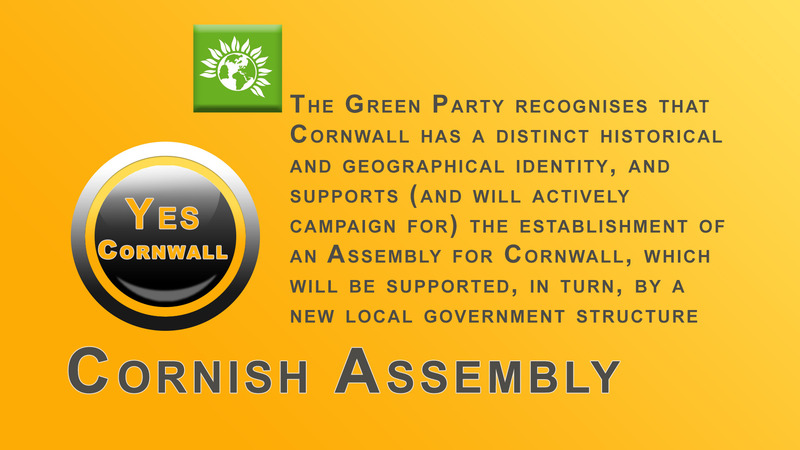 Recognition will be in the form of a Cornish Assembly similar to that of Wales and Scotland. Although not full independence, it allows devolved powers designed to suit Cornwall rather than the ‘one size fits all’ policies handed down from Westminster. 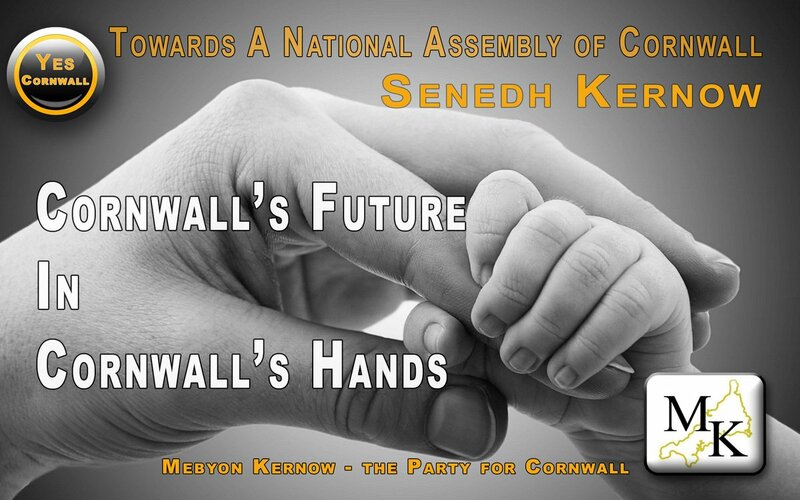 Mebyon Kernow – the Party for Cornwall continues its campaign for a Cornish Assembly. ← Oggy! Oggy! Oggy! means Pasty! Pasty! Pasty!